← It’s a family thing. 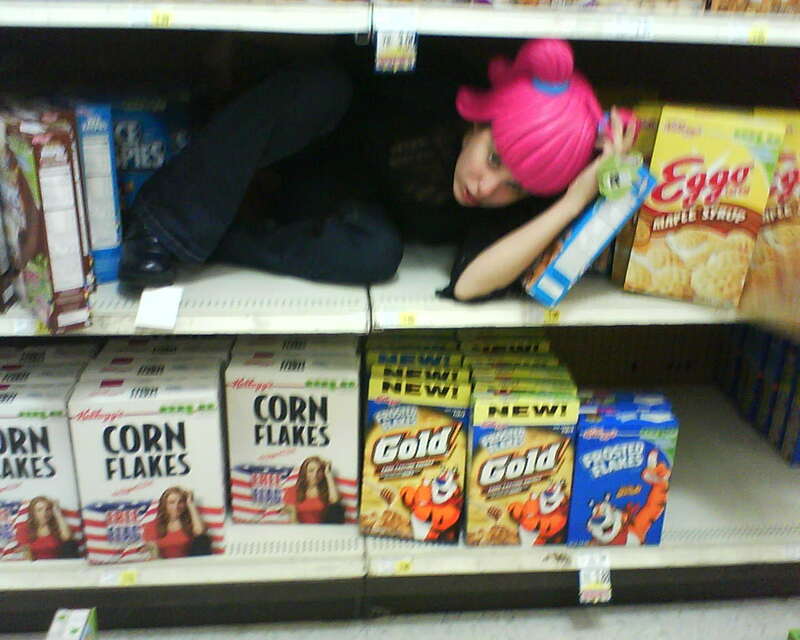 To this day I regret not purchasing that pink-wig-hat instead of just wearing it around the grocery store for 20 minutes. This entry was posted in Flash Fitting, Uncategorized and tagged 2008, cereal, cereal aisle, Corn Flakes, grocery store, pinkgirl, shopping. Bookmark the permalink.